The LED Headlamp and Flashlight Set By Stalwart is a comfortable and lightweight option for dark corners or night activities. The small design will make you forget that you are even wearing a headlight in the first place! 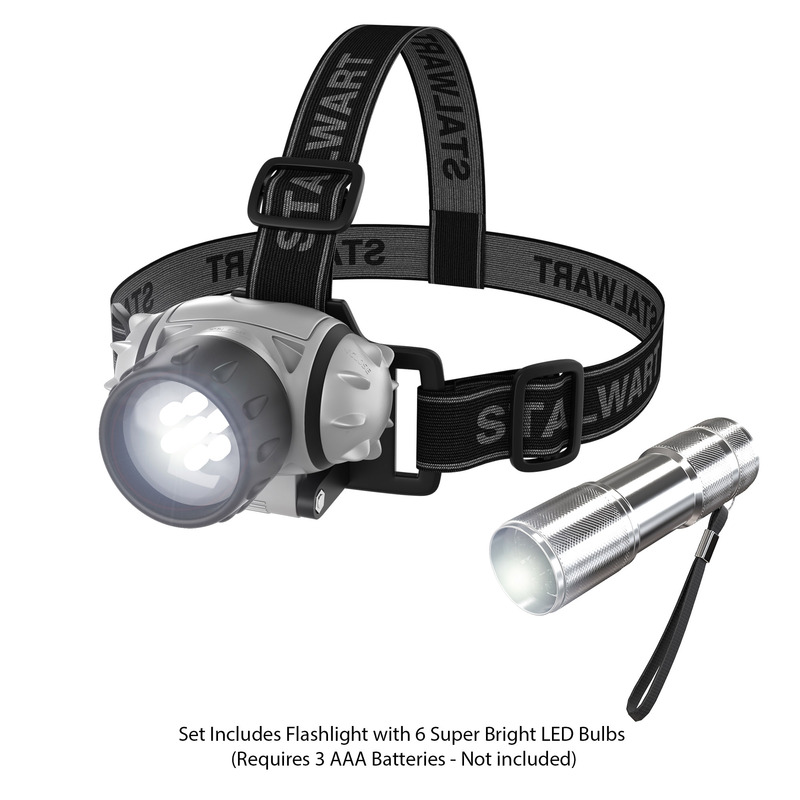 The complete set includes a compact flashlight and features an adjustable head strap to provide a seamless fit for both kids and adults, and is perfect for traveling jobs, home improvement projects, or to put in your household emergency kit! 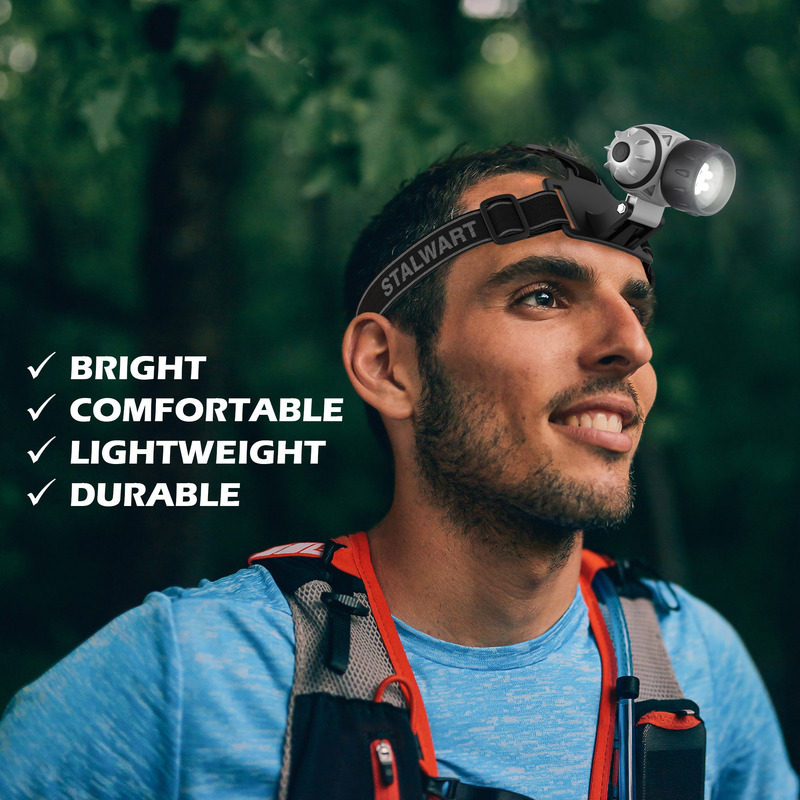 ADJUSTABLE SETTINGS –This indoor-outdoor headlamp features an articulation tilt, allowing you to move the light base and point the light directly while remaining hands free! The bonus flashlight also provides a second option for additional lighting. 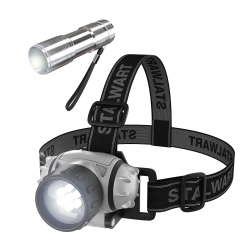 LONGER LASTING- The 48-lumen headlamp includes bright COB LED lights, providing energy-efficiency. Additionally, this light can switch between high, medium, and low light settings so you adjust the strength of the light to fit your needs. PRODUCT DETAILS– Color: Black, gray, silver. Requires 3 AAA Batteries (Not Included) for headlamp, requires 3 AAA Batteries (Not Included) for flashlight. 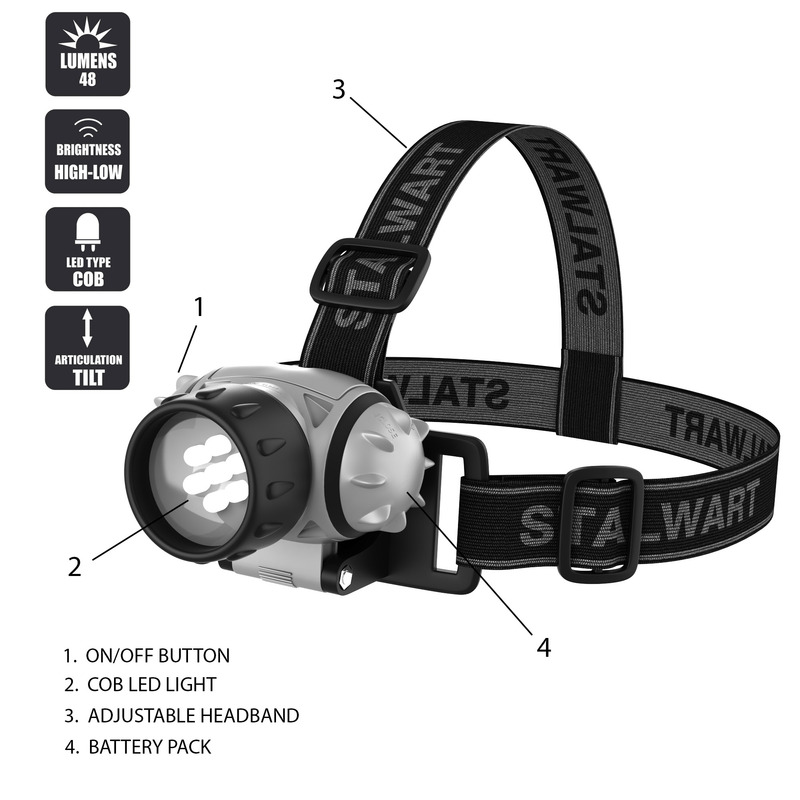 Headlamp includes 12 LED Bulbs. The durable and elastic headband adjusts to fit most head sizes.